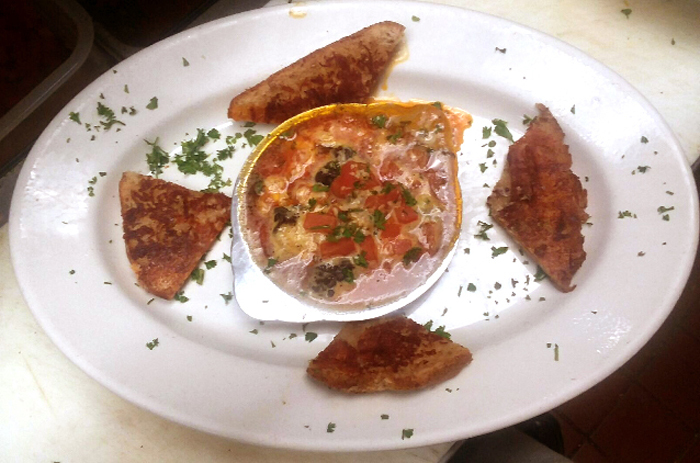 …….Like everywhere else, just a little bit better! 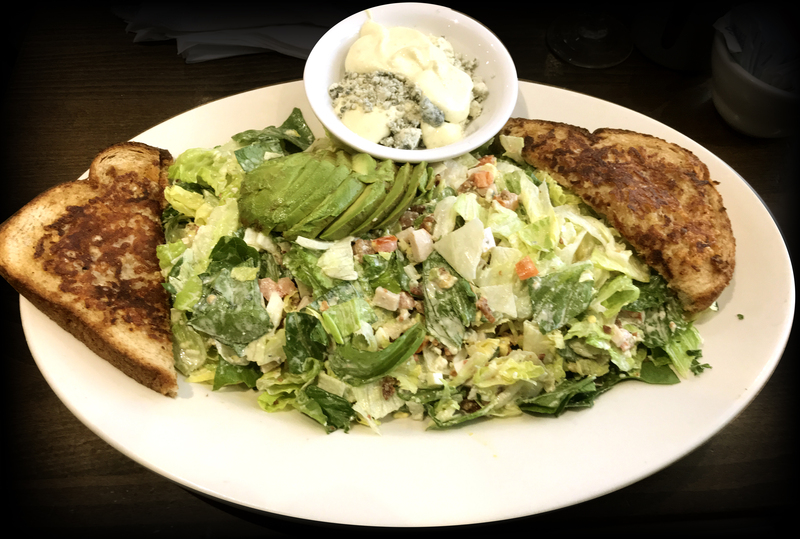 Chopped Iceberg and Romaine Lettuce, Turkey, Tomato, Avocado, Bacon, Egg and Bleu Cheese Crumbles, Creamy Ranch Dressing, Served with Garlic Bread. 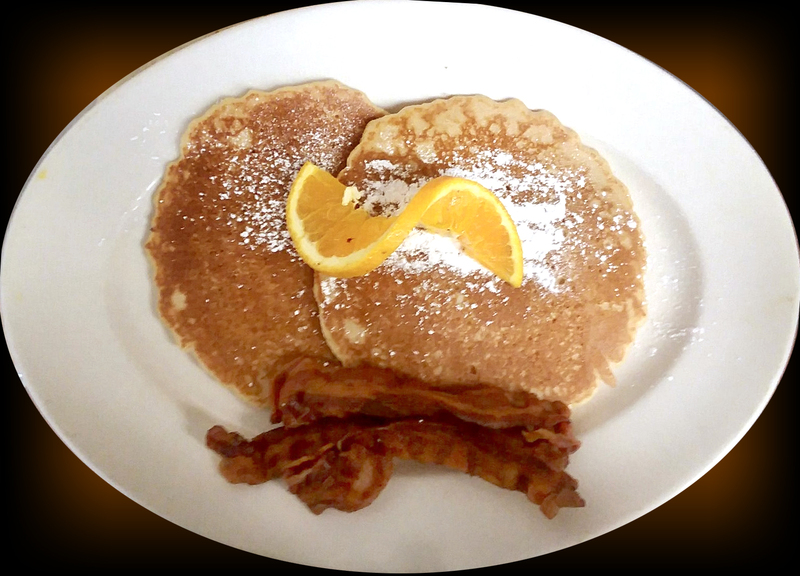 2 Griddle Cooked Fluffy Buttermilk Pancakes with Syrup and Butter, served with 2 Bacon Strips. 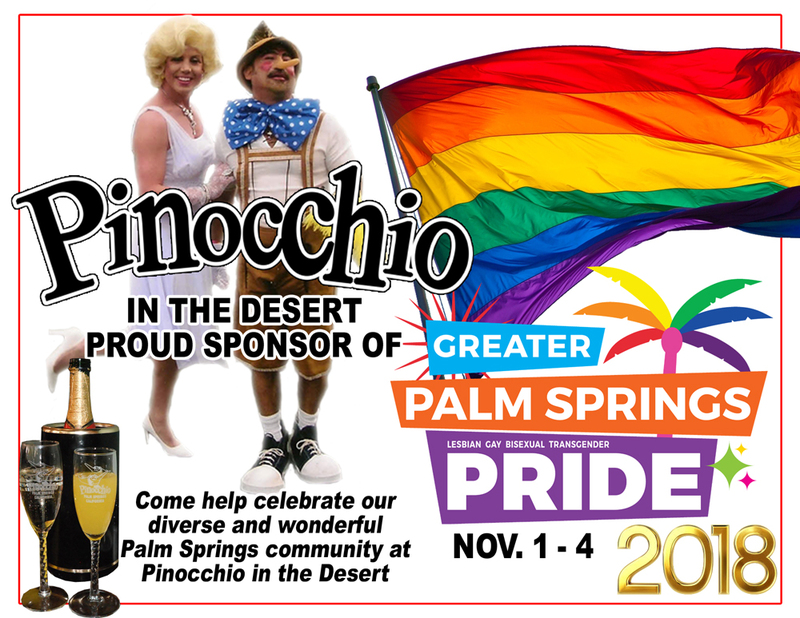 COME CELEBRATE PALM SPRINGS PRIDE! 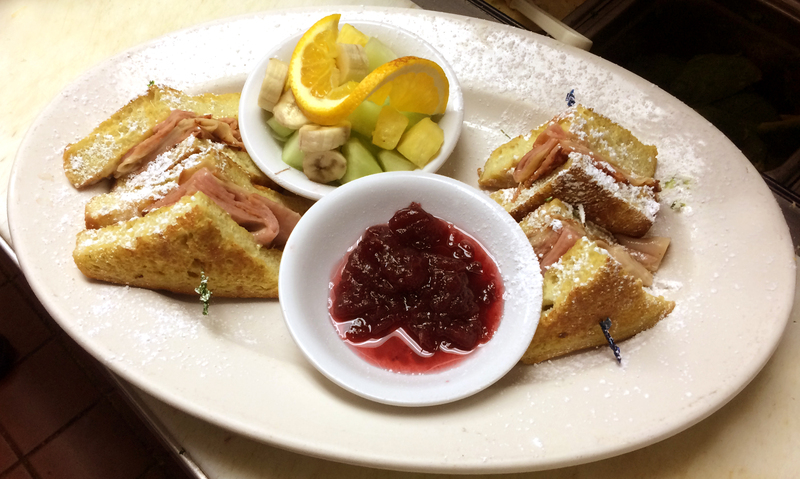 COME ON IN & HELP CELEBRATE PALM SPRINGS PRIDE! 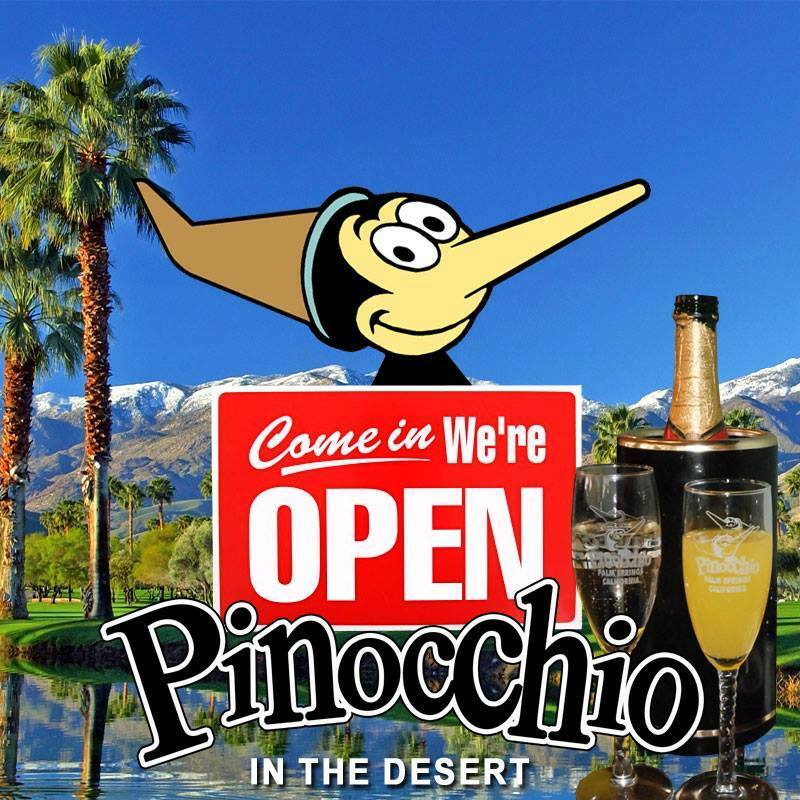 Pinocchio in the Desert is a proud sponsor of our diverse and wonderful Palm Springs community! – we look forward to welcoming all our beloved and valued customers ! Come join us for a fun time and let the champagne pour! 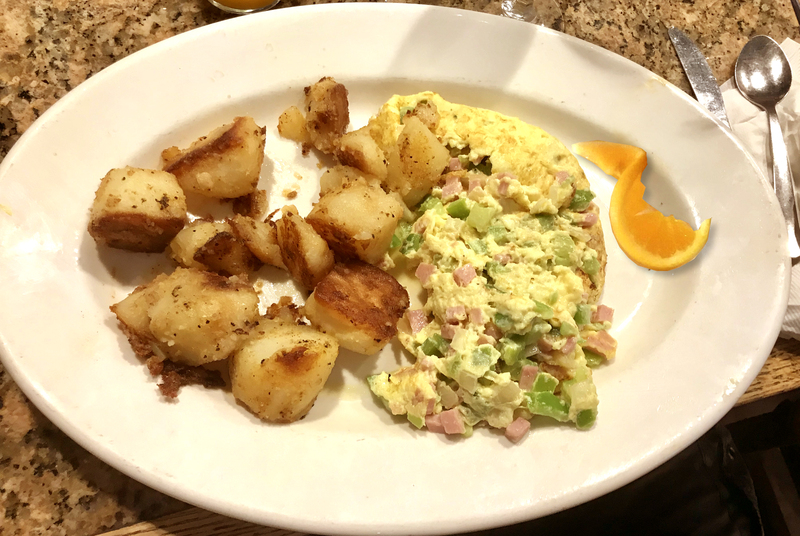 2 Grade AA Extra Large Eggs (Any Style) with Grilled Ham Steak, served your choice of Pinocchio Breakfast Potatoes or Cottage Cheese, or sliced Tomatoes, plus your choice of Toast, butter and preserves. 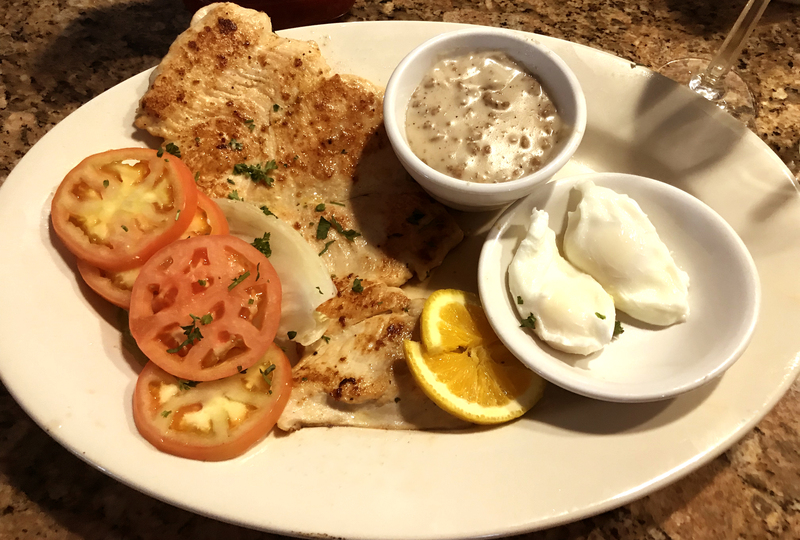 2 Grade AA Extra Large Eggs (Any Style) with Grilled Chicken Breast and Gravy, served your choice of Pinocchio Breakfast Potatoes or Cottage Cheese, or sliced Tomatoes, plus your choice of Toast, butter and preserves. 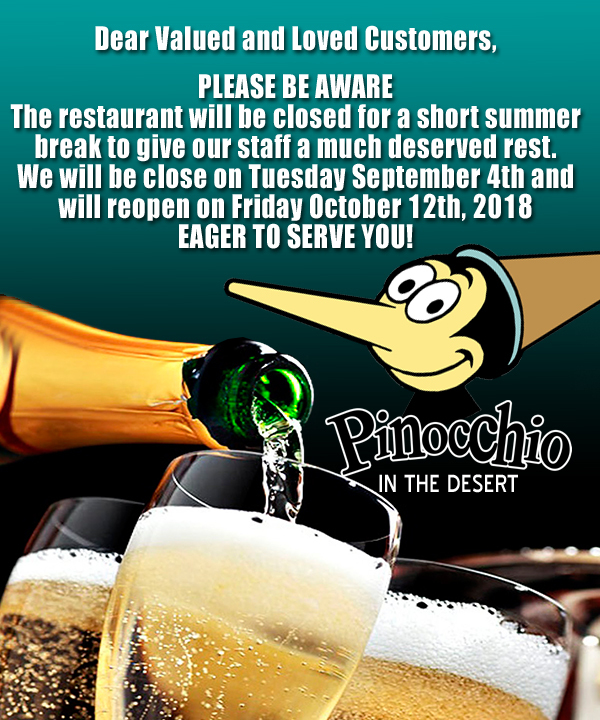 The restaurant will be closed for a short summer break to give our staff a much deserved rest. 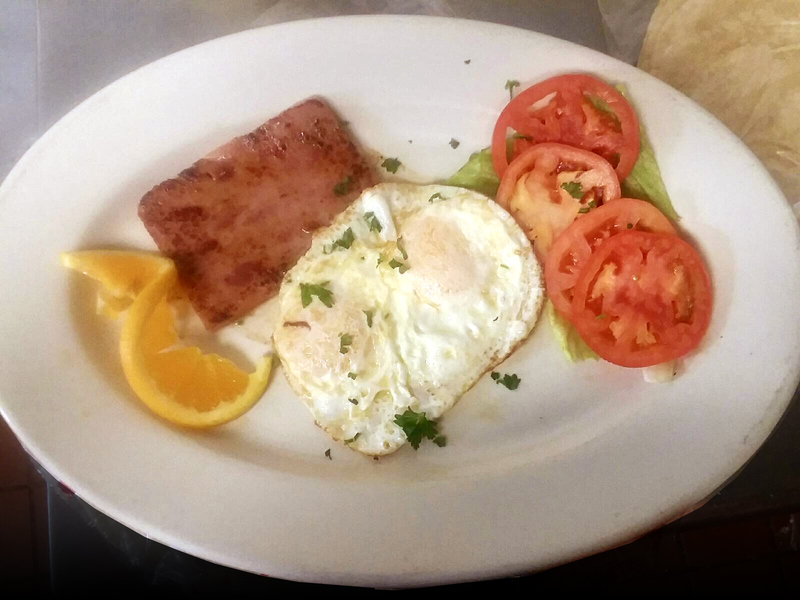 We will be closed from September 5th to October 5th, and will reopen again on Friday, October 6th, 2017 eager to serve you!